District 5960's Group Study Exchange (GSE) program is a unique cultural and vocational exchange opportunity for businesspeople and professionals between the ages of 25 and 40 who are in the early stages of their careers. The program provides travel grants for teams to exchange visits in paired areas of different countries. 2016-17 Rotary International Group Study Exchange Program between U.S.A. Eastern Minnesota/Western Wisconsin District 5960 and Northern Australia and Timnor-Leste District 9550. 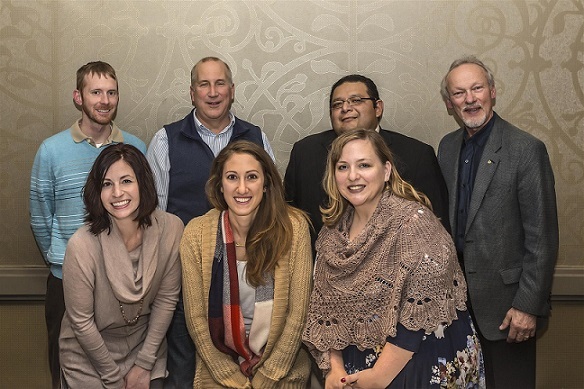 The 2016-17 GSE Team was comprised of four young professional non-Rotarians (Jonathan Huffmaster, Mario Hernanandez, Carly Lunden, Lindsey Day) and their team Leader Mark Berger who is a member of the Rotary Club of Rice Lake. Mark has lived in Rice Lake, Wi for most of his life, where he works as a Financial Advisor for Edward Jones. He was a GSE participant in 1989 which lead hiim to becoming an active Rotarian for the past 26 years. The GSE Team was fortunate to have Mark as a team leader. To prepare for their adventure, the team spent time meeting and making new friends within the local District’s Rotary Community and visiting their sponsoring clubs. Between preparations and meetings, the team is learning all that they can about the Northern Austrialian culture and food. An important part of the GSE program is the language program. Although English is widely spoken in Austrialia learning a new language in less than three months is a daunting endeavor, it is an integral part of the process and helps acclimate the group to the culture. For five weeks, April 14, 2017 - May 20, 2017, the 2016-17GSE Team participated in a myriad of cultural and vocational activities and travel to many of District 9550 Rotary Clubs. One of their stops included the Great Barrier Reef. The team’s visit will include a presentation to the District 9550 District Conference. Upon their return, the GSE team will share their stories, photos, and adventures with local clubs. The team is grateful for the support they have received in this endeavor from Rotary International, District 5960 and Rotary clubs members throughout the district . Want to hear more about this team's expereince?